Pledge your support - Racism. No Way! Many schools, students and teachers have already demonstrated their commitment to countering racism through their involvement in developing and implementing anti-racism education initiatives. 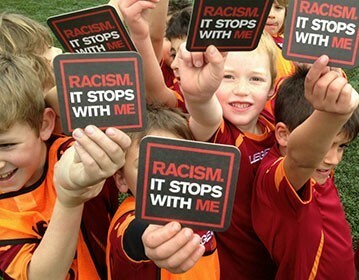 By recording your name and comment here, you can demonstrate your support to the goal and principles of anti-racism education and eliminating racism in Australian schools and society. By collecting the names and comments of supporters, we aim to demonstrate the strength of this commitment. Pledge your support by entering your details and comment below. Comments will be published on this website. Note that no offensive or racist comments are published. View pledges.